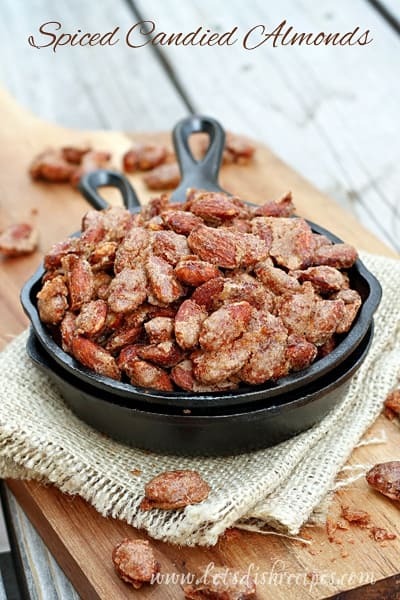 SPICED CANDIED ALMONDS — Candied almonds with a sweet and spicy crunchy coating. Dear readers, I’m so sorry about this recipe. Because you’re not going to be able stop eating these Spiced Candied Almonds. Don’t say I didn’t warn you. And they only take about 30 minutes to make, so you’ll have a really hard time convincing yourself that they’re not worth the trouble. They’re no trouble at all, actually, and totally worth it! A little too worth it. These are one of those addictive holiday treats that I can’t seem to stop eating. 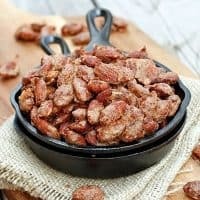 This recipe works just as well on other nuts, like pecans and cashews, and you could even use a variety of mixed nuts if you like. And because these candied almonds can be stored in an airtight container for up to a month, they’re a great way to get a jump start on holiday baking and gift giving. Wrapped up in a cute cellophane bag, these nuts make great neighbor or teacher gifts, and are a welcome change from all of the sweets that are offered up this time of year. Feel free to adjust the level of cayenne to suit your tastes, but I will say that I always end up wishing I’d added more. You could even leave it out if you prefer not to have any heat at all. 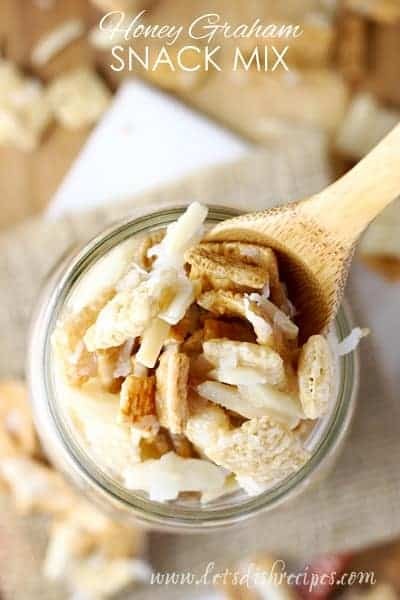 Be sure to save this recipe for Spiced Candied Almonds to your favorite Pinterest board for later. Candied almonds with a sweet and spicy crunchy coating. Preheat oven to 300 degrees. Line a baking sheet with parchment paper (don’t skip lining your baking sheet). In a large bowl whisk the egg white and water vigorously by hand until very foamy, about 2 minutes Add the nuts and stir to coat well. Stir in the sugars, cinnamon, salt, and cayenne and mix until nuts are evenly coated. Turn nuts out onto to prepared baking sheet, spreading them in an even flat layer. Bake for 25 to 30 minutes, watching carefully so nuts don’t burn. 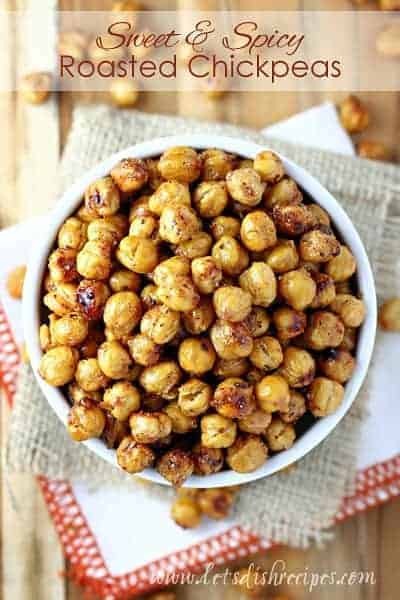 The coating may appear bubbly and wet in the center of the baking sheet even when nuts are ready to be pulled from oven, but the coating will firm up as the nuts cool. Allow nuts to cool on baking tray for at least 30 minutes. 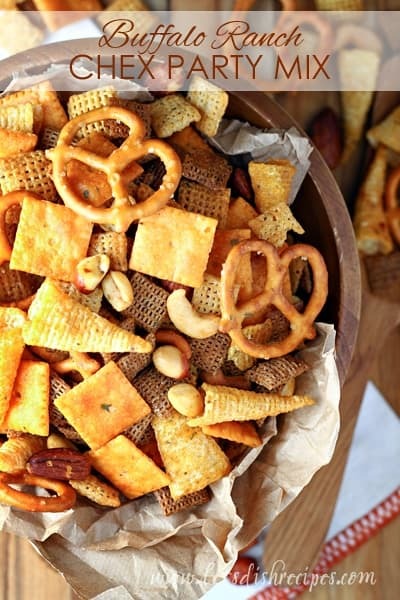 Ideally, leave nuts on baking tray and exposed to air to cool overnight; this helps them get extra crispy and crunchy. When nuts are cool enough to handle break into clusters. Transfer nuts to airtight containers or jars and store at room temperature for up to one month. Who Dished It Up First: Adapted from Averie Cooks. I love these nuts, but they are hard to stop eating! Thanks Danelle! What fun is that if we can’t blame someone for blowing out our jeans seams!!?? These look amazing. Can you use this same recipe for other nuts, like walnuts & pecans ? Excellent recipe!!! Can’t stop eating them and I had intended to give as an office gift!!! Hope they make it to the office!!!! Will celophane bags be sufficient bags for freshness!!! Don’t think they will last long! Otherwise, what do you suggest for a container or bag? The bags would certainly keep them fresh for several days and even up to a week, I think. If it will be longer, I would store them in airtight containers and then package them up shortly before giving them away.